Interest in SEMI standard E30, known as the GEM standard has grown in recent years. 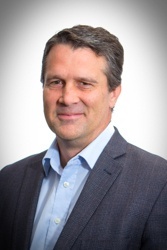 That interest has increased in various manufacturing industries has matured in which factories are seeking to increase automation and carefully monitor equipment activity in order to increase production and product quality. Initially, the GEM standard targeted just the semiconductor industry, but then expanded to include any industry that used manufacturing equipment. In fact, a number of years ago the name of the GEM Standard changed from the “Generic Model for Communication and Control of Semiconductor Equipment” to “Generic Model for Communication and Control of Manufacturing Equipment.” Adoption by other industries is possible because the GEM standard defines generic features to control and monitor any manufacturing equipment. The GEM standard technology is not limited to semiconductor manufacturing. Over time, other industries have taken notice, especially as they try to develop increased control over their equipment. CIMConnect™ is the best software product on the market for implementing the GEM standard. Of course CIMConnect supports all of the required GEM features as well as additional capabilities. This even includes excellent support of the Spooling feature, which saves messages that are otherwise dropped during a loss of communication. Early implementations of the GEM standard by others gave the GEM standard’s Spooling feature a bad reputation. This reputation is undeserved when Spooling is implemented by a robust product like CIMConnect. In CIMConnect, not only does Spooling work; it works well. It has been proven by customers that CIMConnect’s Spooling implementation does not lose any messages—even while under high-stress conditions. This means that when using CIMConnect, the Spooling feature can be used to effectively preserve critical data from the equipment. Another feature that makes CIMConnect the best GEM software product is the CIMConnect Control Panel. In the new CIMConnect release, this application was completely rewritten, redesigned in .NET, giving it a modern look and feel while adding lots of new convenient functionality. With other GEM products, the GEM interface is essentially a black box. 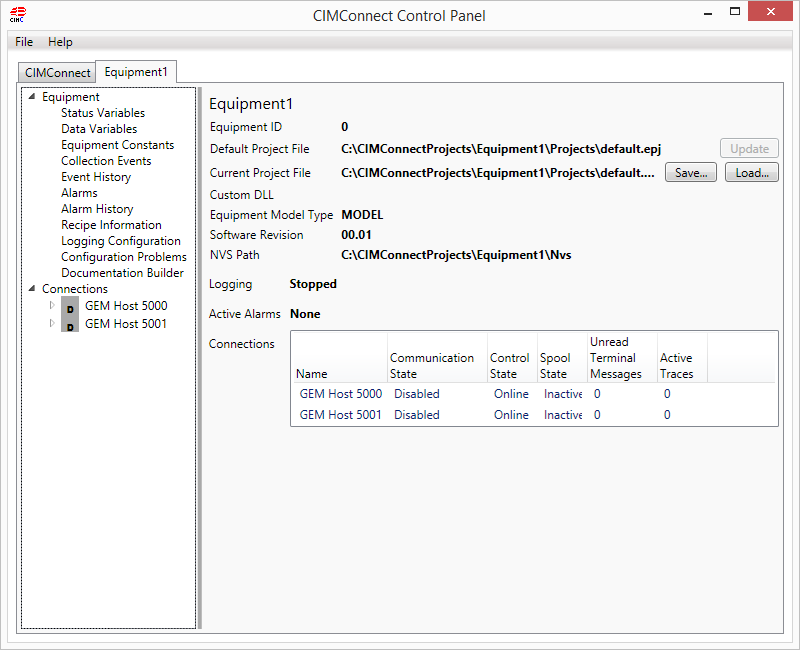 With CIMConnect, however, the Control Panel application gives full visibility into the GEM interface. And you can run it at any time during GEM interface development and also during production. This means that you can see what reports and traces are defined, the link between reports and events, the status of all state machines, the state of each alarm, the enable status of every event, the history of occurring collection events, the history of alarm state changes and the current values of all data variables, and status variables and equipment constants. You can also view and capture the SECS-II message logging at any time for scenario diagnostics. Additionally, the CIMConnect Control Panel provides features to simulate the occurrence of collection events, collection event data, alarms, and variable data; thereby making it a built-in simulator included requiring no additional effort. And when you are ready to update your GEM documentation appendix with the list of defined collection events, alarms, status variables, data variables, and equipment constants, use the documentation builder feature. CIMConnect has also already adopted use of new SEMI standard E173 Specification for XML SECS-II Message Notation (SMN). CIMConnect allows software applications to use SMN notation both when providing variable values to CIMConnect, as well as when getting variable values from CIMConnect. This means that you can pass data around in XML, retaining the data type and data structure information; bringing the convenience of XML into the SECS/GEM technology. You can log the GEM communication messages using SMN format making log messages much more useful, and they are able to be easily deserialized by any software applications that has XML libraries.